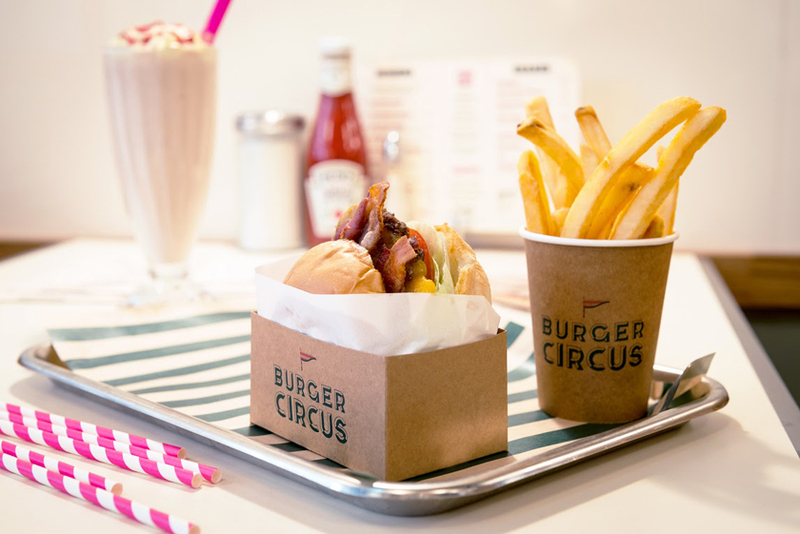 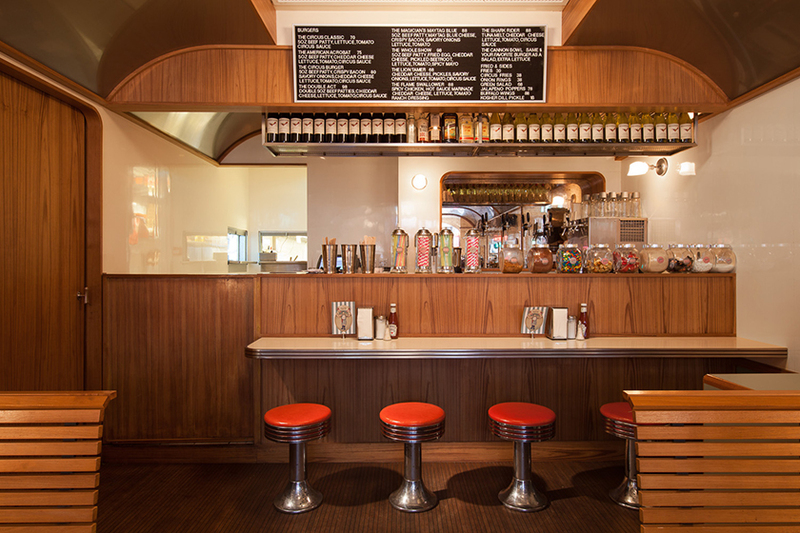 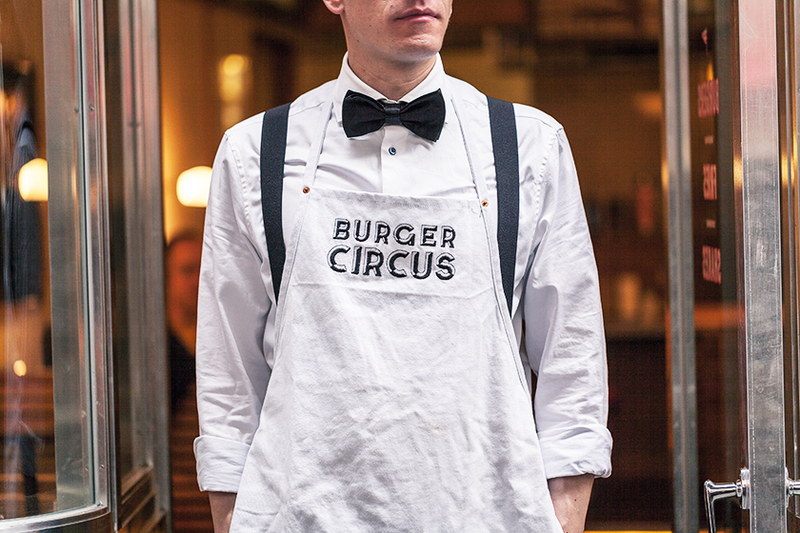 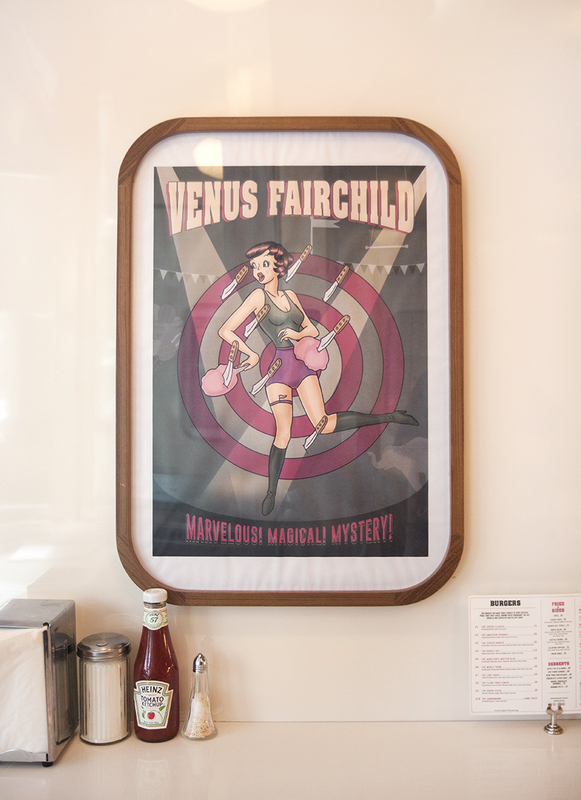 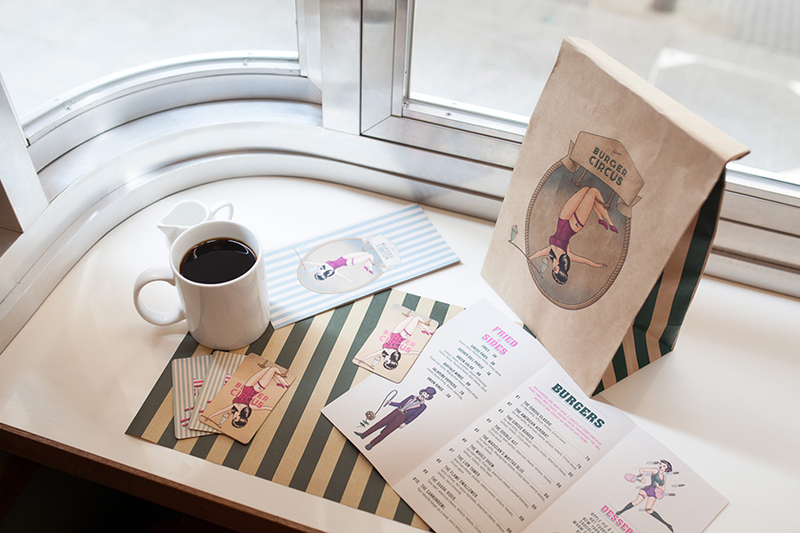 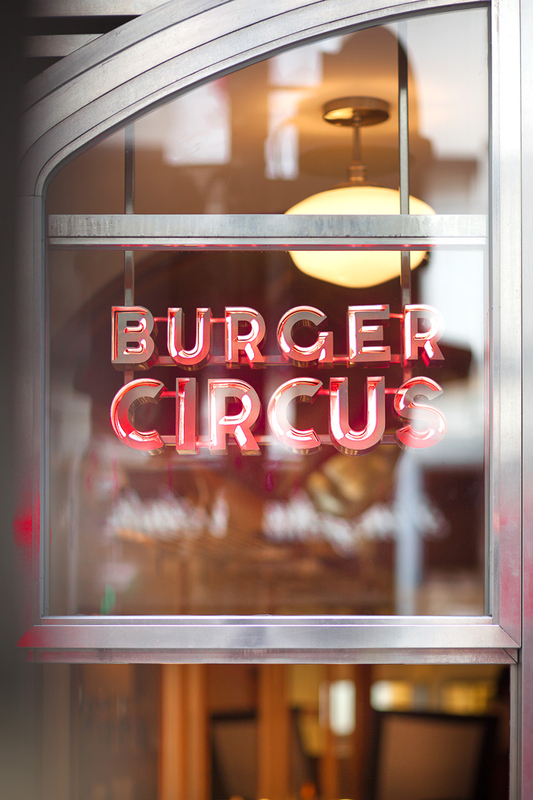 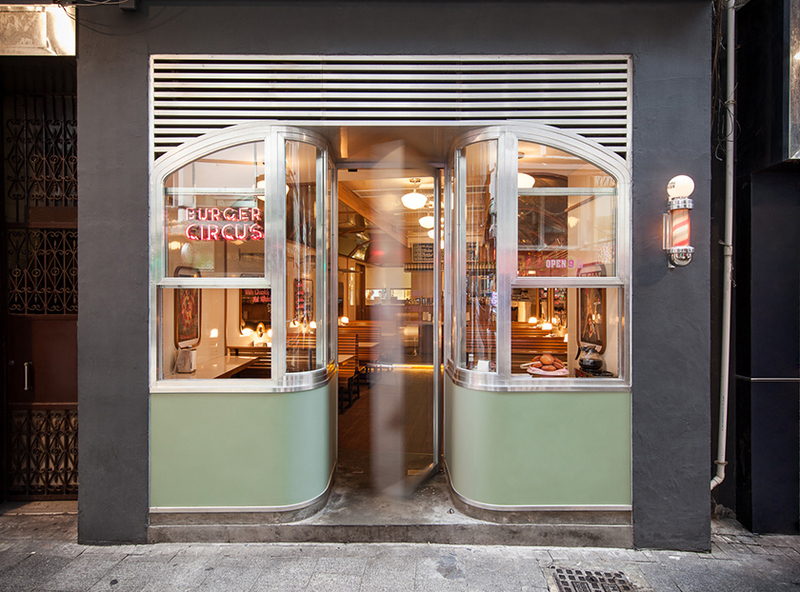 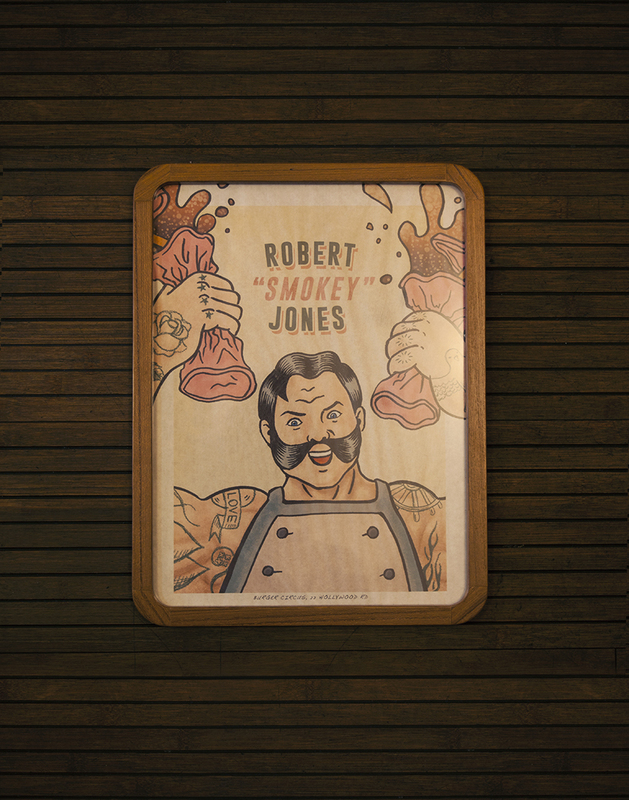 burger circus is a whimsical take on the classic mid-century americana diner. 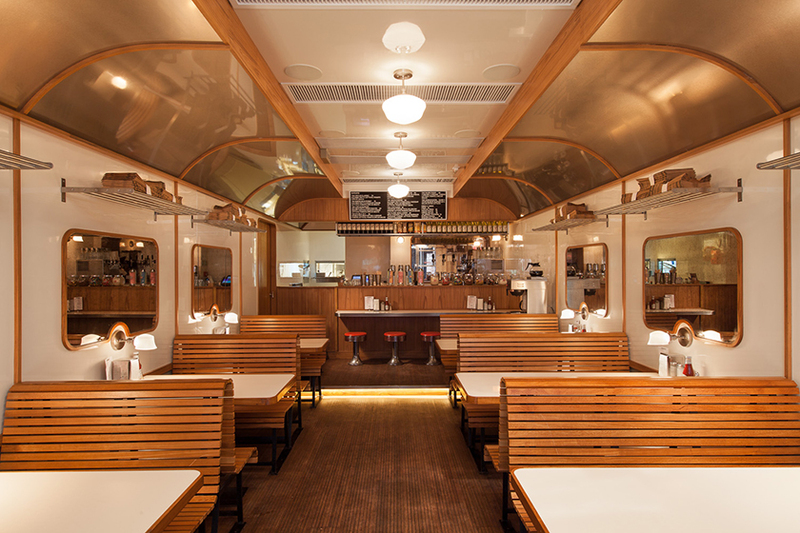 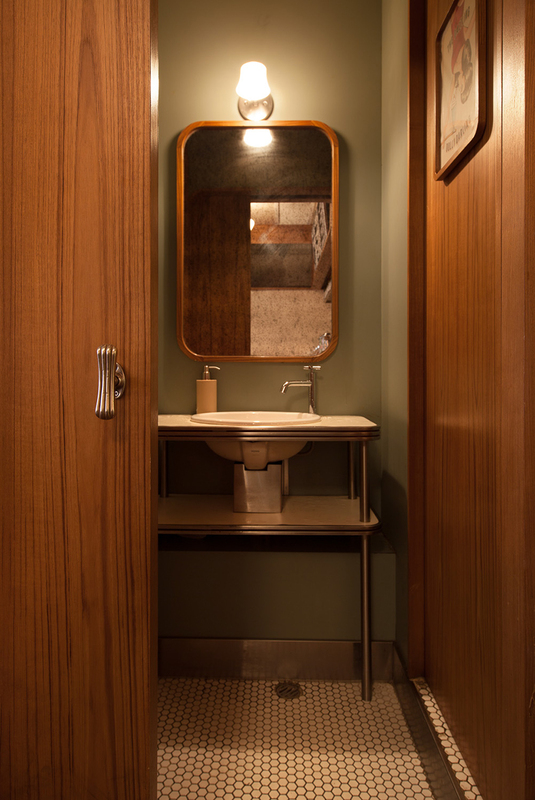 the space, inspired by edward hopper’s painting “compartment c, car 293”, encompasses train carriage accents like the curved stainless steel wall panels and warm tones casted by vintage lamps. 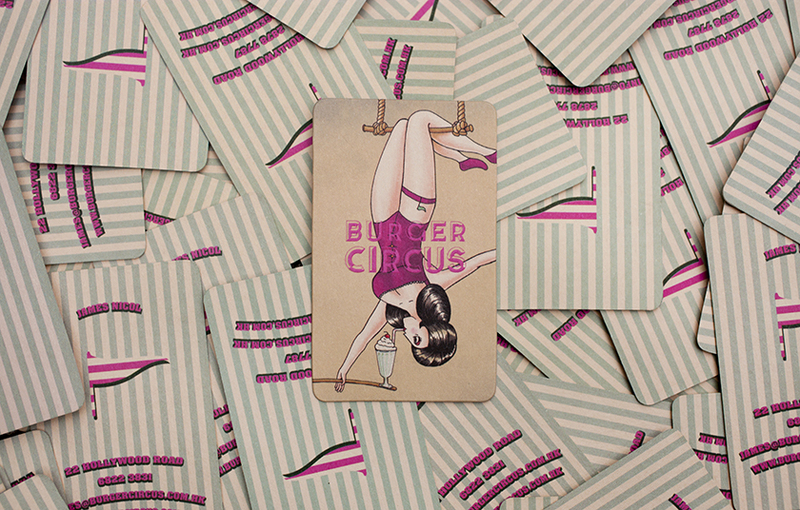 the circus narrative in the branding content was derived from francis lawrence’s water for elephants and is pushed throughout the menus and circus posters, which vividly display the different characters’ quirks and talents. 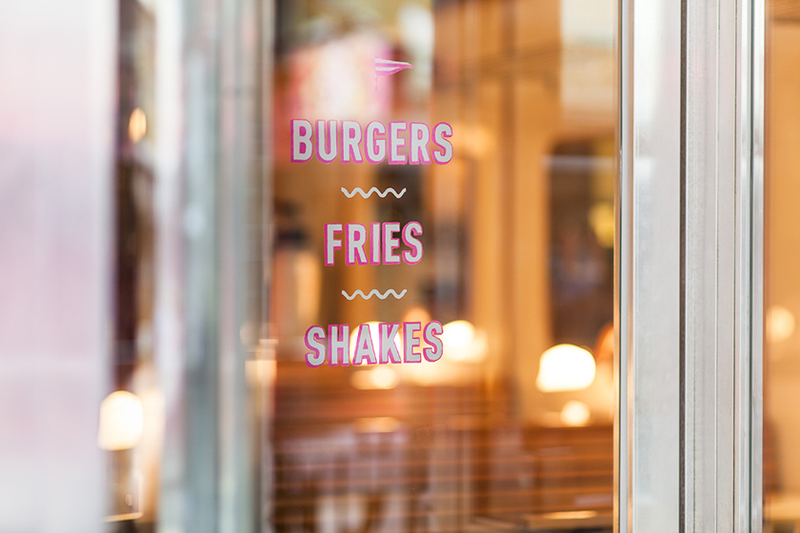 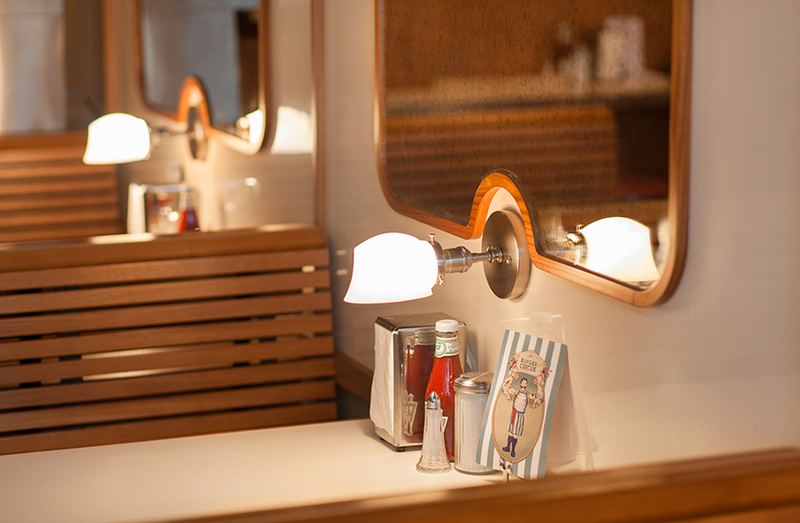 situated at the foot of soho, customers take a ride ( almost literally, as they dine in carriage booths ) to a nostalgic time filled with retro vibes and feel good food.